We think it’s safe to say that moms will go to great lengths for the health and well-being of their kids. 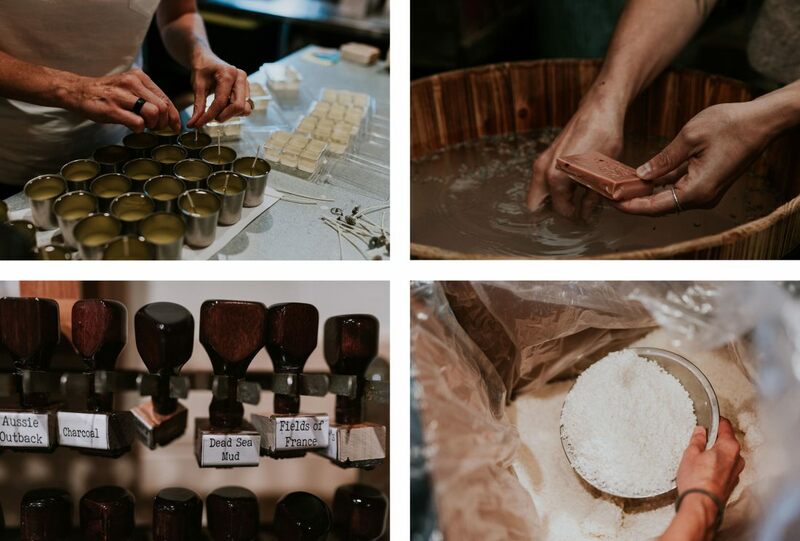 In this blog, we’re going to tell you all how a mom’s determination to heal her son from a painful skin condition flourished into one of Chilliwack’s longest standing hand-built businesses: Rustic Soap Company. Read on to learn how Rustic Soap got started, and where it stands today! ALRIGHT, SO WHAT’S THIS RUSTIC SOAP COMPANY ALL ABOUT? Rustic Soap (otherwise known as the soap shack, is your one stop shop for all things natural body care. You’ll find things like soap bars, face masks & creams, bath & massage oil and more hiding out in this hidden gem. Its 20-year history in Chilliwack surely has left a mark (or dare we say, scent?) – and continues to set the bar high for other hand-built businesses in the Fraser Valley. Meet Tawnya: Founder of Rustic Soap Company. Tawnya’s son suffered from eczema at a young age – and, being the amazing mother she is, Tawnya couldn’t stand to see her son in pain. Instead, she began a personal quest to find a solution for her son’s condition. Long before Google was around to help solve all of her problems (can you even imagine that now? ), she did some good old-fashioned research, trial and error by purchasing and reading books about natural body care. The journey took her on a road to healthier living and eating, and made her aware that what we put ON our bodies is absorbed INTO our bodies. Ever have an “ah-ha” moment? Well, that was hers. Enter Rustic Soap Company. When Tawnya first started her business, she was doing things old school. Instead of using a machine to help her stir ingredients, she would do it by hand (resulting in hours of work, instead of minutes!). The internet came along a short while later to give her access to forums & websites that taught her time saving techniques, tips and tricks (phew!). Today, Tawnya’s products are still hand-crafted with the same love and care that went into creating them 20 years ago. Each and every ingredient is hand-picked as locally as she can make it. Her goat’s milk? From a customer’s goat (they trade milk for soap!). The beer in her beer soap (yes, that’s a thing)? From Old Yale Brewing down the road. The list goes on. WHAT MAKES RUSTIC SOAP COMPANY DIFFERENT THAN OTHER NATURAL PRODUCT COMPANIES? 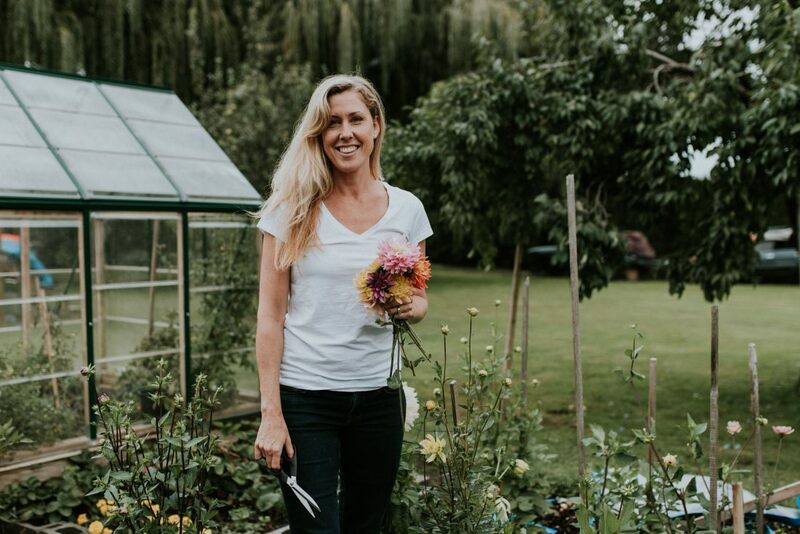 Aside from the thoughtfully and locally sourced ingredients, we’d say one of the biggest differentiators between Tawnya’s products and other ones on the market is the care and dedication taken towards quality and product effectiveness. Whether it be with acne, psoriasis, pregnancy, people going through Cancer treatments needing a clean and scent free ingredient panel – or are simply looking for locally made, high quality products… Tawnya is ready and willing to walk with her customers in their unique journey of healing, maintaining and simply feeling good. With over 20 years of research, trial and error, Tawnya is THE expert on natural body products in Chilliwack, and we are so lucky to have her soap shack in our beautiful community. WHAT’S NEXT FOR THE SOAP SHACK? For one thing: salt soap bars! Apparently, they make it feel like you’re fresh out of the ocean (it’s safe to say that we’ll be the first in line when they become available). The other? Simply put – keeping on keeping on. Yep! Tawnya tells us that the growth she has experienced through the years has been a true blessing, and the size she runs at today is what she has always envisioned for her company. It allows her to closely monitor quality and consistency in her products, and still gives her time to continually have fun with innovating new ones. The perfect mix if you ask us! WHAT SHOULD I PLAN FOR WHEN VISITING RUSTIC SOAP COMPANY? One of our favorite things about Rustic Soap is the journey you take to get there. 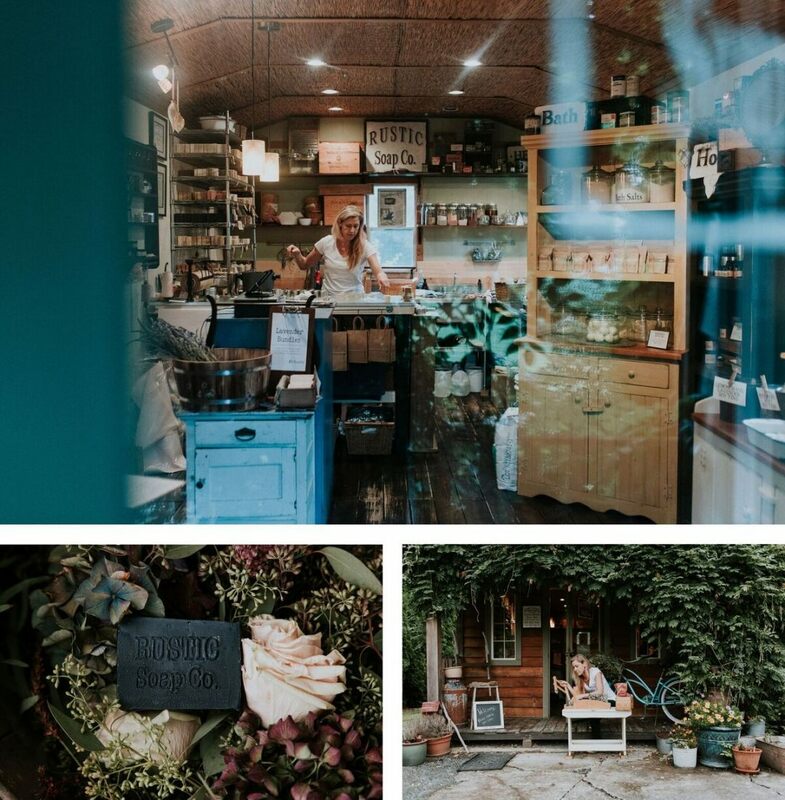 Much like other Circle Farm Tour stops, the soap shack is nestled right in the heart of Greendale, surrounded by beautiful farmlands and fields. It’s the perfect destination to drive to when you’re in the mood to crank some tunes, roll down the windows and take in the view. When you arrive, the first thing you’ll notice is the beautiful aroma of product that fills your nostrils and wraps around you like a big hug. Next – a warm greeting from Tawnya herself. Plan to replenish your bath & body essentials and load up on things soap bars, foam soaps, bath & massage oils, facial masks, floral waters… and more! At the end of the day, like Tawnya says, what goes onto our body goes into our body – and we should always be careful in selecting products that have people like Tawnya behind them. To help Celebrate Rustic Soap’s 20th year in business, Tawnya will be opening her doors for a special customer/visitor appreciation day on April 5th & 6th from 11-4pm. There will be special treats, giveaways, and samples to share of her new and current product lines. Visit www.rusticsoap.com to learn more – and as always, tag us in your #ShareChilliwack moments.